Do you know a worthy unsung hero or heroine of the equestrian world who as yet remains unrecognised? If so The National Equine Forum (NEF) would love to hear from you. 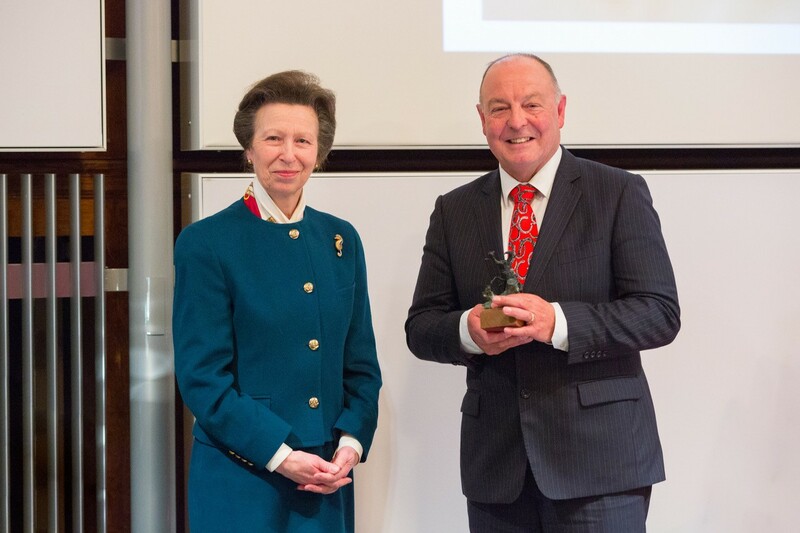 Nominations are now open for the NEF Sir Colin Spedding Award 2019, one of the most significant accolades in the UK’s equestrian industry. The Sir Colin Spedding Award is presented annually to an exceptional unsung hero or heroine of the equestrian world. Any individual or organisation from any equestrian field is eligible, as long as their outstanding qualities have not yet been formally acknowledged elsewhere. Previous winners of the Sir Colin Spedding Award include farrier Dr Simon Curtis (2018), fire and rescue pioneer Jim Green (2017), Sue Martin, who runs Trent Park Equestrian Centre in London (2016), Paul Greeves former Executive Director and Keeper of the General Stud Book at Weatherbys (2015), Dr Andrew Waller on behalf of The Animal Health Trust (AHT) Infectious Disease Group (2014) and Martin Clunes on behalf of UK Equine Welfare Charities (2013). Sir Colin Spedding was the founding chairman of the NEF and chaired the event for 20 years until his death in 2012. He ensured that representatives of all areas of the equine sphere were made welcome to the Forum, and that topics of general interest and concern could be discussed openly and amicably. The award was introduced in 2013, in his memory. To submit a nomination please read the checklist on the website and write, in no more than 100 words, why you believe your chosen candidate should be considered for the award. The NEF Sir Colin Spedding Award Committee will produce a shortlist of nominations, from which the winner will be selected. Multiple nominations for the same person will not carry additional merit and the decision will be final. The winner will be invited to attend the next National Equine Forum, where the Award will be formally presented. Please visit http://nationalequineforum.com/sir-colin-spedding-award/ or email your nomination to info@nationalequineforum.com. Closing date midday on 31 July 2018. The 27th National Equine Forum will take place on Thursday 7th March 2019.